After 30 years of teaching, Dr Tan Thiam Soon finally gets a chance to be on the other side of the desk. 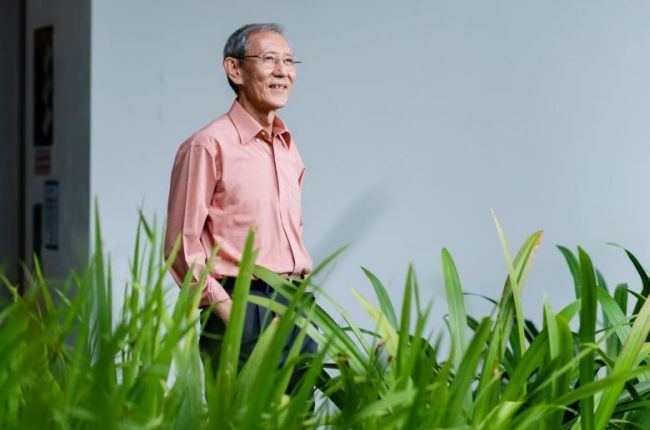 The 75-year-old retired National University of Singapore professor of business is an advocate of lifelong learning. In the past year, he has taken a variety of courses at the National Silver Academy (NSA), a network of post-secondary education institutions and community-based organisations that offers a wide range of learning opportunities to seniors at a subsidised rate. From mindfulness training to magic tricks, these courses have enriched his life and helped him find many new friends. “Learning new things is always a joy. I have met people with similar interests, and we still keep in touch via WhatsApp groups,” he says. Dr Tan has stayed active since he hung up his academic gown in 2000. After retirement, he completed a six-year course in traditional Chinese medicine, after which he put his knowledge to use, performing acupuncture on patients at the Chung Hwa Medical Institution in Toa Payoh. In recent years, he has also travelled more. His retiree wife has taken up painting, and she goes on overseas excursions with her classmates to places like Myanmar, Sri Lanka and China. And Dr Tan tags along. In late 2017, he started taking NSA courses. These courses are organised by NSA partner institutions like polytechnics, universities, arts institutions, ITE and community-based organisations, and administered by the Council for Third Age (C3A), an agency that promotes active ageing in Singapore. The courses range from information technology and business, to art and wellness. Singaporeans aged 50 and above receive a subsidy of up to 50 per cent of course fees (if offered by a post-secondary education institution), with further subsidies available for courses run by community-based organisations such as Family Central and Brahm Centre. Dr Tan’s first course was on mindfulness at Brahm Centre. Although the course fees are subsidised for a maximum of three courses from the same provider per year, Dr Tan decided to take four courses on how to practise mindfulness in total as he found it to be a useful skill. In February last year, he took a five-week-long course on magic tricks offered by the National University of Singapore Society. His class of 19 seniors were eager learners, and their WhatsApp chat group is continually buzzing, even months after the course is completed. “Magic is a good way to entertain people, as it is a lot of fun,” says Dr Tan. Dr Tan encourages all seniors to try out the NSA courses for themselves. He sees them as a great way to re-experience the joy of learning.